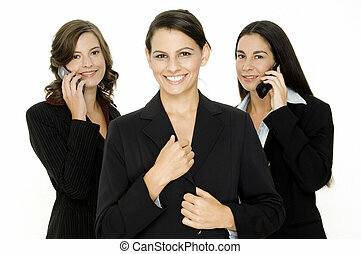 Business women. 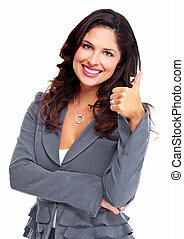 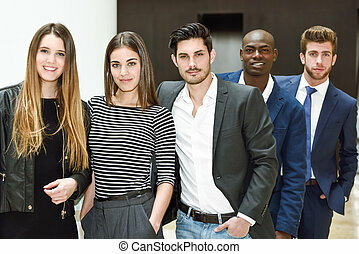 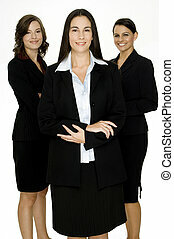 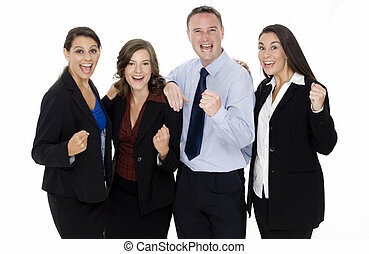 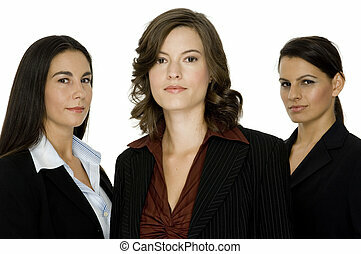 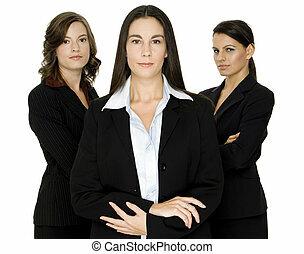 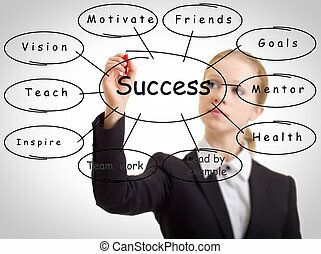 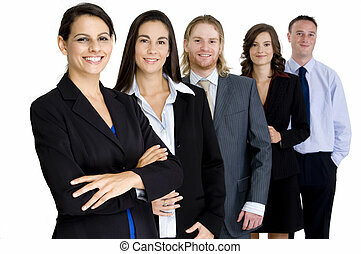 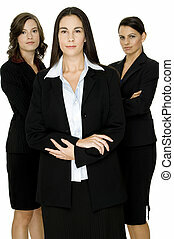 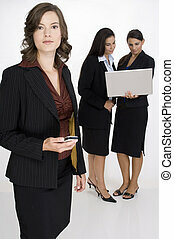 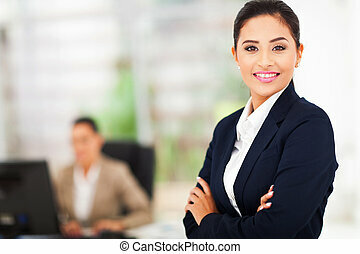 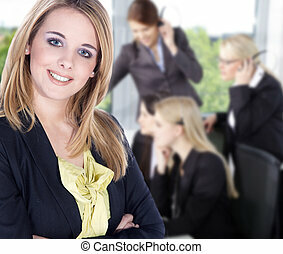 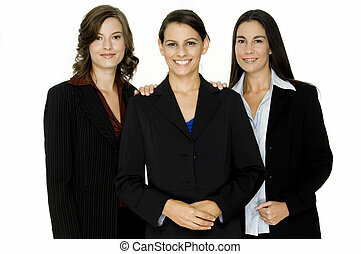 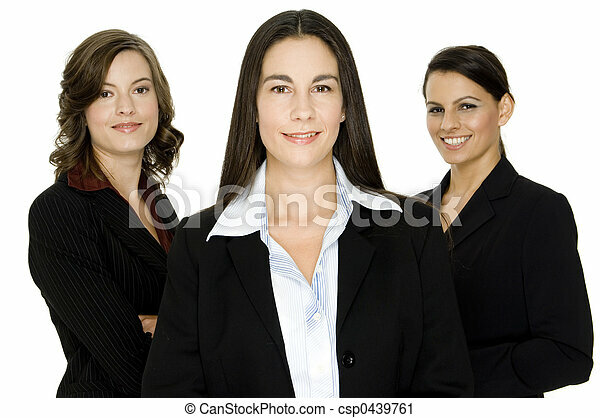 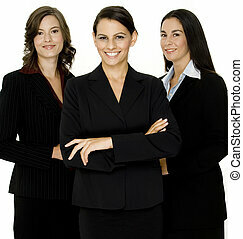 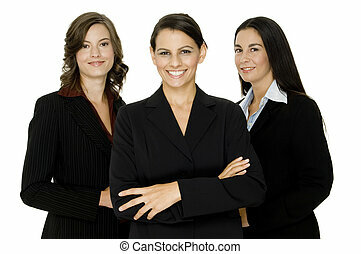 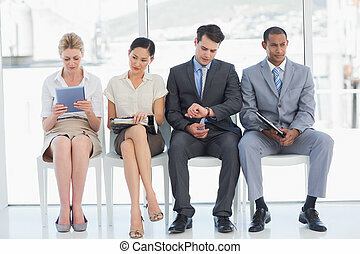 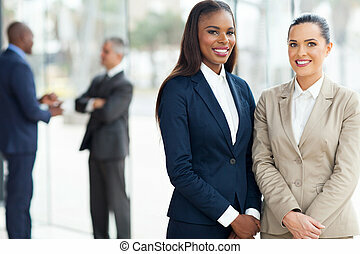 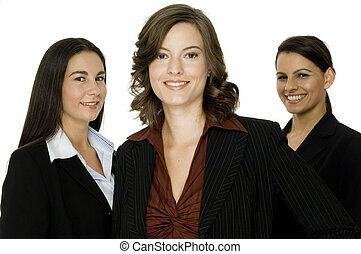 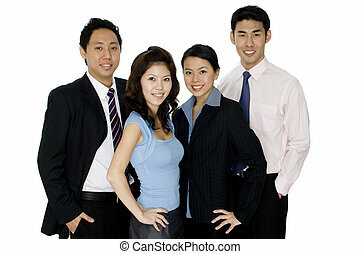 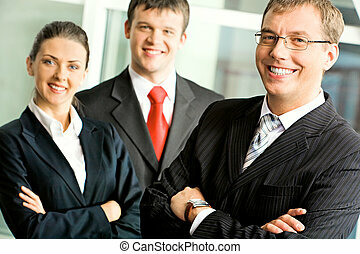 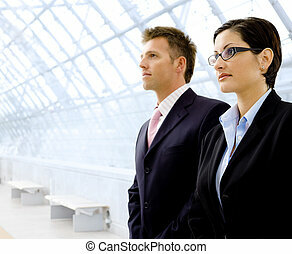 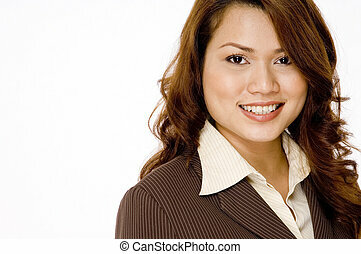 Three attractive well-dressed businesswomen on white background. 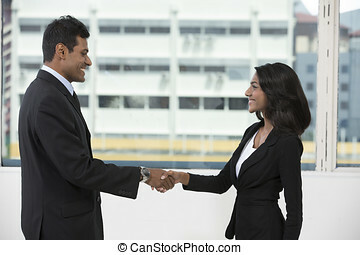 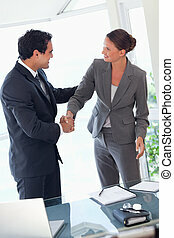 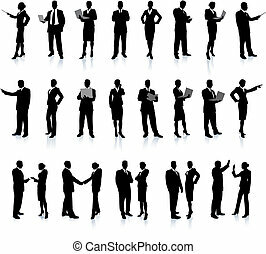 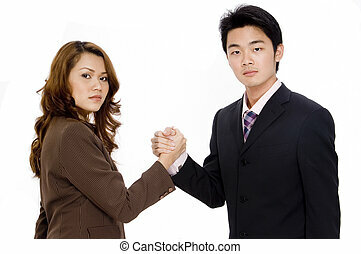 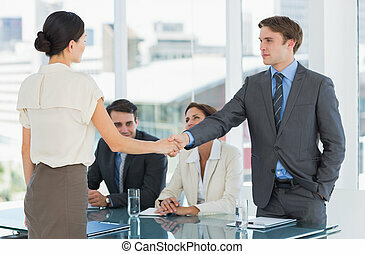 Indian business man and woman shaking hands in the office. 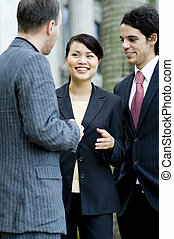 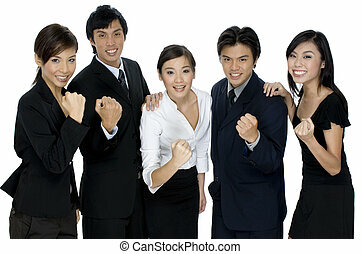 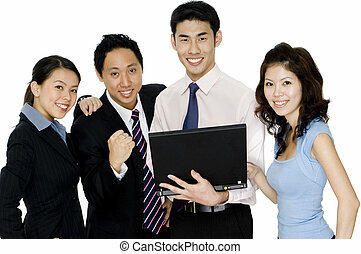 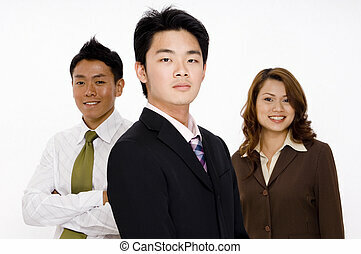 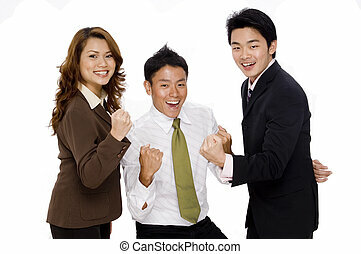 Cheerful Asian colleagues or client greeting each other.